What do you know about China? And have you seen what China beautiful Princess? Barbie recently went to China and was very interested in the culture of China. She would like to stay for an hour Princess of China! Let's see what dresses and jewelry suitable for Barbie as the Princess. How to play: in this dress up you can pick up dress and hairstyle for Barbie who wants to look like Princess of China. Let's see what options the outfit is already in the Barbie Chinese Princess game and try one of these, or invent a new one. Played: 36819. Added: 21-10-2015, 02:55. 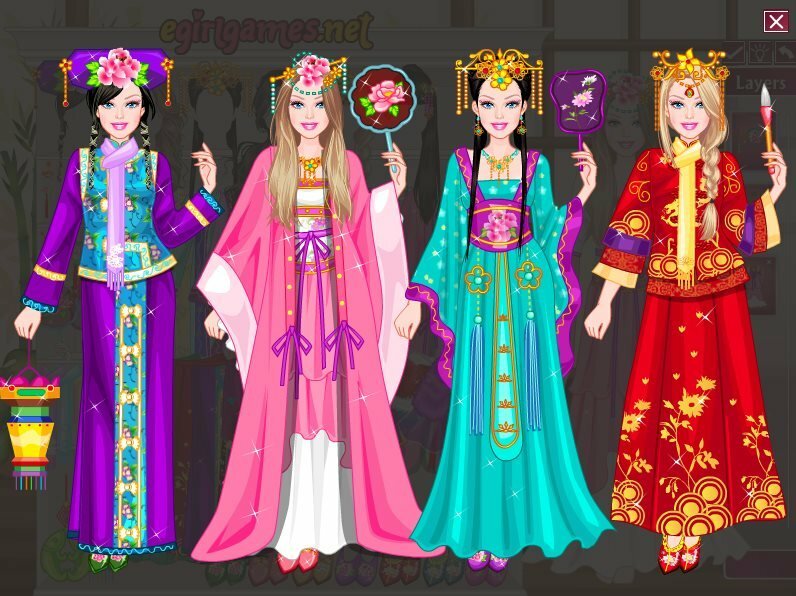 Barbie Chinese Princess dress up game. Versions of the costume for Princess of China.